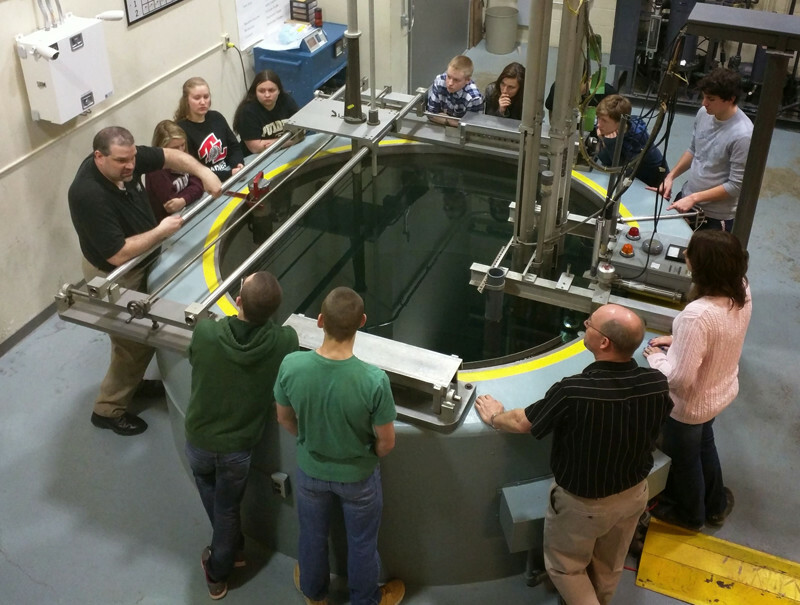 Did you know that the School of Nuclear Engineering is home to Indiana's first and only nuclear reactor? Cerenkov Radiation "The Blue Glow"
Light produced by electrons traversing the water at a speed greater than the speed of light in water. 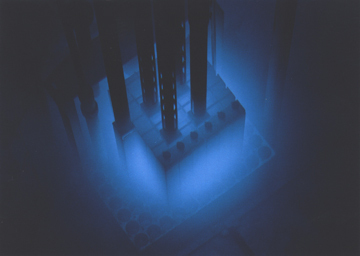 Cerenkov radiation looks much like a glowing ball of water or plasma around the reactor core. We are now scheduling tours! Please complete the form below to arrange a tour to see the exciting new controls and instrumentation of PUR-1. We are also happy to give lectures on radiation principles, common natural sources of radiation, and of course nuclear energy. If you have already registered for a tour, we are excited to host you. Remember that everyone entering the reactor bay will need some form of photo identification (PUID, Driver's License, Passport, etc.) with them. All tours start at the entrance to the Nuclear Engineering Radiation Laboratories. To find that entrance, the easiest way is to go to the Electrical Engineering Bus Stop and then straight back to the building. Inside the double doors, there is an elevator to your left. You can wait there at your tour time and one of our staff members will be up to get you. Looking forward to seeing you there!